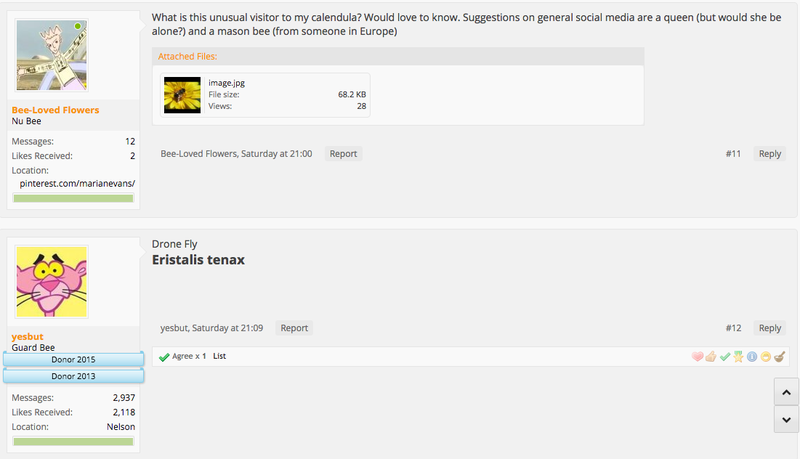 Thank You, Bee-Lovers on Social Media! And more or less at the same time, this conversation on Instagram– which I’ve just joined – with someone else I’d never heard of before. 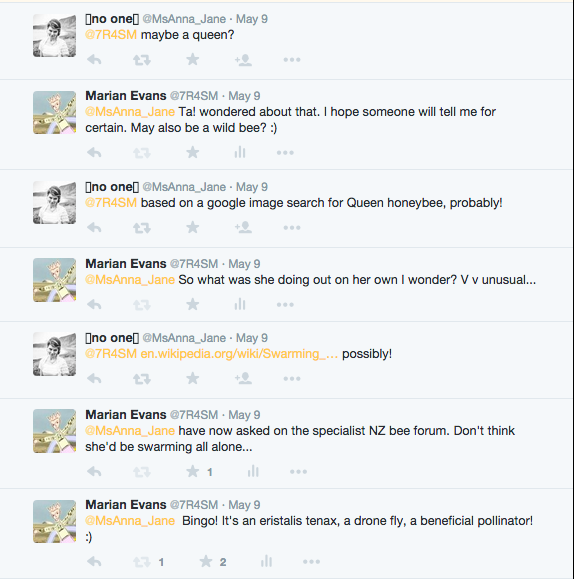 And as I enjoyed these interchanges I thought of the NZ Beekeepers Forum, which I joined a while back. And asked there. And trusted a contributor’s precise response. I feel very grateful to the apps and forums available online and to the people who use them. This was so useful. I have another eristalis tenax in the garden today. 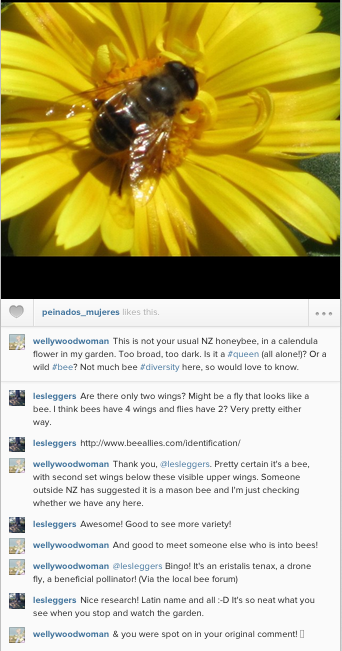 And because it’s a beneficial pollinator I welcome it.